The North Carolina Forest Service Urban & Community Forestry Program is organizing a workshop and networking event addressing the growing demand for locally sourced wood. The event one-day event is scheduled for Wednesday, July 26 at the Archie K. Davis Conference Center, in Research Triangle Park. A tour of urban wood businesses and projects in and around greater Ann Arbor, MI, is scheduled for Friday, July 28. The tour will shed light on a variety of innovative ways that dead and dying community trees are being put to use. 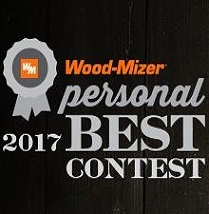 Wood-Mizer of Indianapolis, IN, is accepting entries for its 2017 Personal Best Contest. Since 1985, the contest has provided Wood-Mizer sawmill owners in the United States and Canada an opportunity to showcase their dream projects built with lumber from their mill. Categories include homes, barns, cabins, sheds, tables and gazebos. 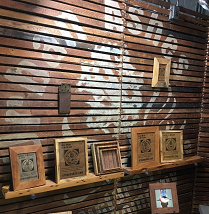 The Southeast Urban Wood Exchange encourages all businesses in the U.S. Forest Service's Region 8 with a stake in the urban wood movement to quickly and easily list their products and services for free at UrbanWoodExchange.org.